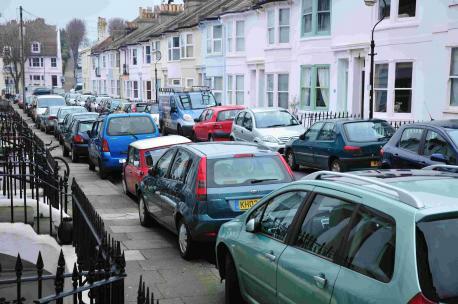 Drivers across the UK could see and end to pavement parking with the potential introduction of the Pavement Parking (Protection of Vulnerable Pedestrians) Bill, which is currently undergoing it’s second reading in parliament. This may see an end to an argument which has raged since the Road Traffic Act 1974 introduced the ban, though it was never officially enacted and was ultimately repealed in 1991. On the streets of London, parking has been illegal for over 40 years unless an area is marked as exempt, being labelled with blue signs or clearly demarcated by white bay outlines. As suggested by the title of the bill, the aim is to ensure the safety of vulnerable pedestrians for whom pavements blocked by cars prove a major safety hazard. This can be a particular problem for those that are sight impaired. As explained in a video produced by The Guide Dogs for The Blind Association, 90% of people with sight loss cite pavement parking as the main obstacle they encounter in the street.” These obstacles often force people with sight impairment out into the road. This is not simply a stressful experience it potentially endangers the lives of sight impaired people and their guide dogs. However, a number of companies and organisation, such as the Alliance of British Drivers (ABD) and the AA, have expressed concerns that a blanket ban on pavement parking could see new problems for drivers. They both raise the concern of vehicles blocking roads rather than pavements increasing congestion and having a potentially devastating effect on the emergency services who may not be able to move freely through these congested roads. However, this idea has been challenged by Simon Hoare, the conservative MP for North Dorset who proposed the Bill, who insists this will not be the case. “This is not a blanket ban,” he claims. “It just provides another tool in the armoury for local government”. Other’s agree with this viewpoint. Citing London’s successful enforcement of the law over the last 40 years, this is a method of reducing problem parking while ensuring traffic is not impeded by clearly signally where pavement parking is permitted. The very real issue if this bill is passed is that there is already a lack of parking on the streets. This bill may further reduce the supply, and thus this must be addressed. It is currently estimated that 30% of traffic is made up of vehicles trying to park, and aftTraffic Exceeds Pre-crash Recordser a record year for vehicles on the road, this could further increase that percentage. What is clear is that vulnerable pedestrians require protection in this area, and government must work to limit any negative impact on drivers and parkers.